The New WARRIOR RT1000 Rough Terrain Pump Truck is ideal for those outdoor applications where a conventional industrial truck just won’t do! 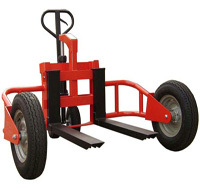 Mounted on large pneumatic tyred wheels all round the truck just rides over the undulating surfaces you find in some applications. 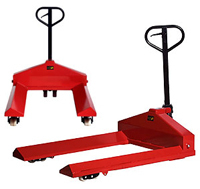 With a capacity of 1000Kg and an inside straddle width of 1230mm the RT1000 will handle most pallets.